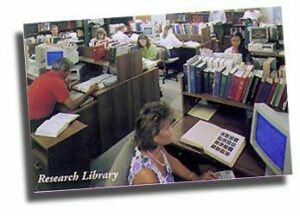 I have been dealer for the Historical Research Center since 1991. HRC was founded in the US in 1988, but prior to that research for their database was started in Ireland, a world renowned center for records and information on onomastics ( the study of origins and forms of proper names ) and heraldry. The center boasts an in-house library with original books dating back to the 1600 and reproduced manuscripts and documents dating from even earlier centuries. Family Name Histories are individually researched, all research is original and every bit of historical data contained in them can be authenticated and traced back to the source reference from our library. Coat of Arms is based on original translations and created by Heraldic Artists. They are completely accurate and authentic in every detail. We can authenticate each Coat of Arms on our data base and traced back to the source reference from our library. 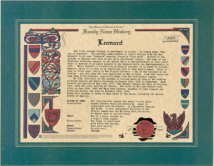 We pride ourselves in offering products and a service that can help perpetuate the desire to gather information about the history of a family name, origin intriguing details and if the name has a Blazon of Arms describing heraldic markings and design.